Fifty-three years after her death in 1962, Marilyn Monroe continues to make headlines. The world’s most photographed movie star and iconic celebrity once again becomes the subject of a new film documentary: “Marilyn Monroe – Declassified”. 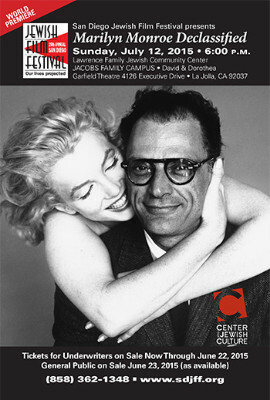 The movie written, produced, and directed by Paul Davids received its world premiere screening last month at the San Diego Center for Jewish Culture, in the David and Dorothea Garfield Theatre, with Paul Davids in the audience. Following the screening a Q & A session with Davids took place with the audience. I had the opportunity to meet with him afterward to discuss in some detail, the points raised in his film and his rationale for making this particular film and briefly cover some of his other films. It should be noted that once the FBI and other government agencies declassified some never-seen-before records and files surrounding the death of Monroe, any journalist or filmmaker could obtain the newly released information under the Freedom of Information Act. It turned out be a treasure trove of fresh and conflicting accounts and information that revealed a different story than that from the official coroner’s report of what actually took place on that fateful August 4th night in 1962, in Marilyn’s Brentwood home; the only home she ever owned. Her body was discovered the next morning August 5th. Marilyn Monroe was just thirty-six years old. JL: The subjects and themes for your films are wide-ranging. What other of your films follow this point-of-view? PD: Remember the film documentary “Roswell” and “the incidents” surrounding it? Yes, there was extraterrestrial contact in 1947. It changed the world and it is still classified Top Secret. Absolute fact. My film “Jesus In India” which I made in 2008 concerning Jesus’ “missing years” ages 13 through 30, which some maintain he took the Silk Road to India, and yes, there is evidence, and so in my film you will see it all. The Church never explained their position or challenged the thrust of my film. JL: I loved that documentary. Your premise is so intriguing, well researched, and so well done. 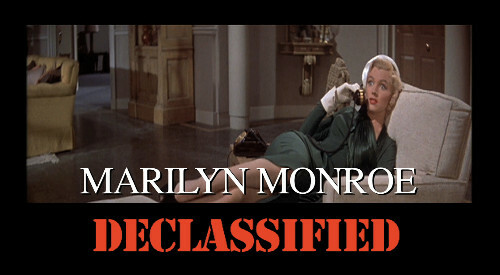 JL: Can you share how the “Marilyn Monroe: Declassified” documentary fits in with your skeptical approach as how official records and explanations are often layered with deception and deflection, at least, from the point of view of your documentary? And a follow-up question: Did you encounter any problems or resistance or lack of cooperation on the part of law enforcement agencies in the making of the film? PD: With the world premiere held tonight here in La Jolla, I feel confident that some push-back will be forthcoming as to my point-of-view about the facts as I see them. However, I just let the parties to the cover-up crucify themselves with their own words. Clear statements by former Los Angeles Police Chiefs Daryl Gates and Tom Reddin absolutely establish key facts; aided by testimony of two LA police officers at the time, and FBI informants. 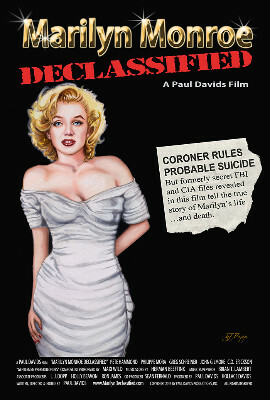 Exhibit “A” is Chief Reddin’s statement that Marilyn Monroe’s death was handled as a top secret intelligence operation because it was judged to have national security implications and because the Attorney General of the United States, Robert F. Kennedy was involved. To the second question about interference or obstruction. No, I never felt I was being stymied by officials. Remember, the Freedom of Information Act files have been a matter of public record for some time. 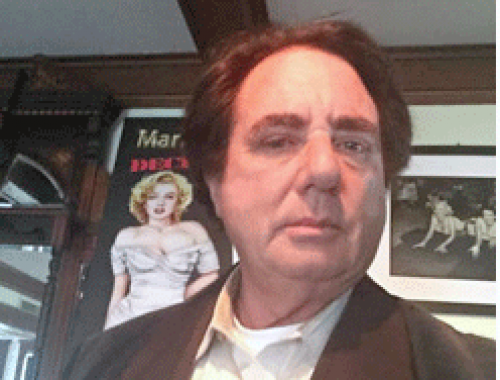 JL: Weren’t there rumors circulating that the government had a contract put out on Marilyn and that Chicago Mafia Boss Sam Giancana, was “assigned the hit”? PD: In a high profile case involving a world-wide celebrity and the President of the United States and a questionable suicide, rumors of all kinds are bound to swirl. Let’s not give too much away about the film. Everyone should go see it and make up their own mind. JL: I want to thank you for your time and for sharing key elements of your new documentary “Marilyn Monroe: Declassified”. When can the public expect to see the film? PD: It took a year to make it, and, at this point I can’t give you a date for it’s opening in a theatre, other than to say hopefully this year. Reposted courtesy of Jack Lyons and Desert Local News.